Get in touch with K & K Waste Clearance to take your unwanted scrap and metal goods away for free. Based in Portsmouth, Hampshire, we offer the best service in the area. 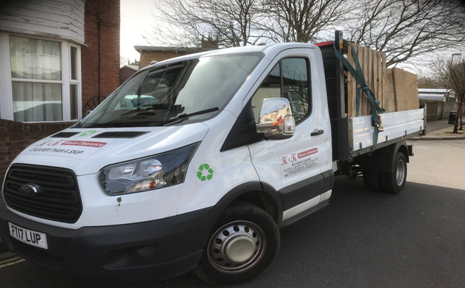 We provide a scrap and white goods clearance service and what’s more, our merchants will even come and collect the goods from your forecourt, garage, or factory. We will take industrial and domestic fridges and freezers for an additional charge. No matter how much scrap you want to get rid of, we will be able to take it! To provide the most convenient collection possible, we offer flexible times and can even complete same-day collections when required. This service is available for both domestic and commercial clients – all you need to do is call. Contact us now, in Portsmouth, Hampshire, to receive more information about our scrap and white goods clearance services.